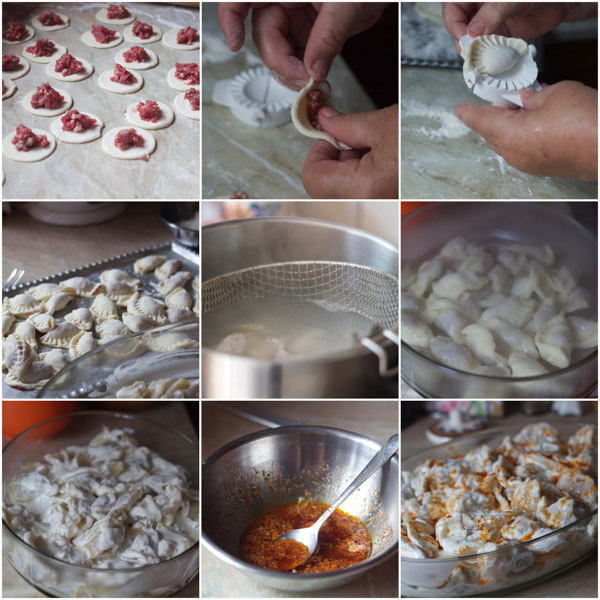 Here is a recipe for Balkan minced meat dumplings, a Balkan version of ravioli and manti dumplings. 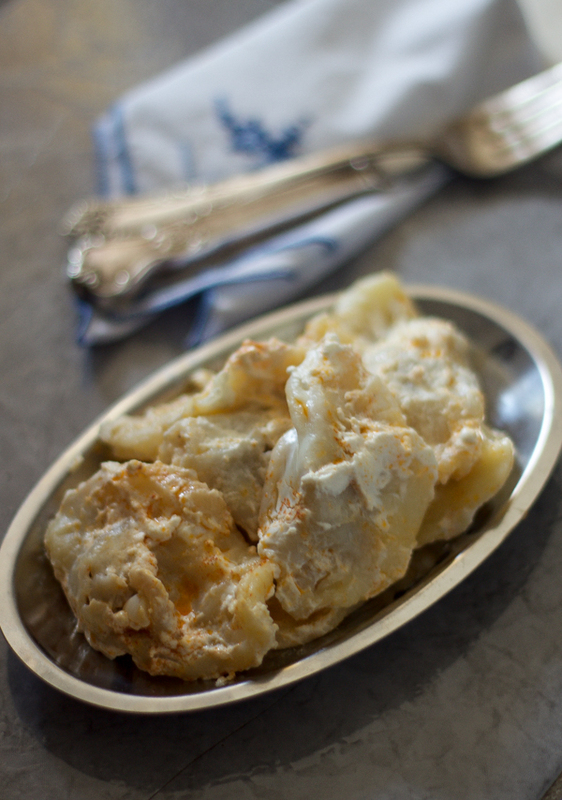 Today I am bringing you a recipe for something very special – Balkan traditional dumplings called klepe. 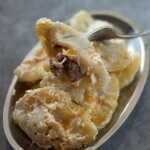 Klepe, like ravioli, can be filled with cheese but the most basic recipe usually calls for the meat stuffing. My grandmother made great klepe dumplings, but since she hasn’t been with us for more than a decade I went to someone who makes them just as good, Ms. Ifeta. P.S. 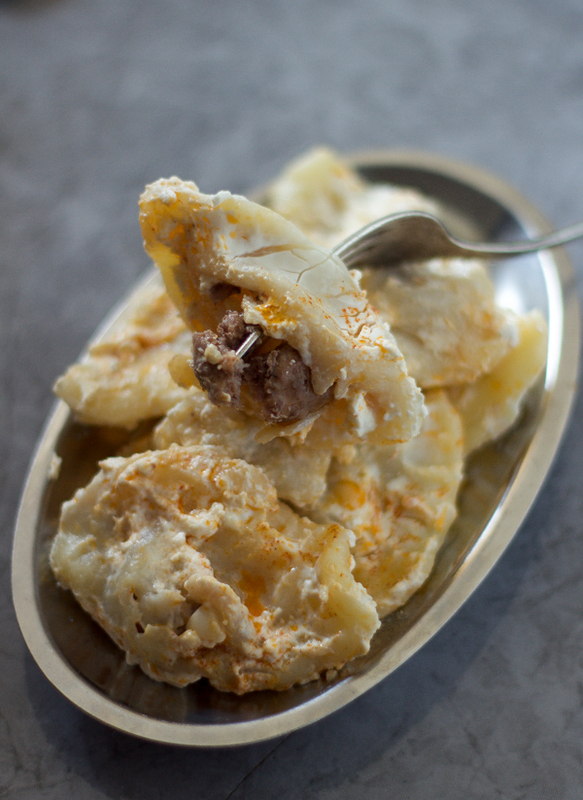 Want more recipes with dough and stuffing that use similar techniques like Balkan dumplings klepe? 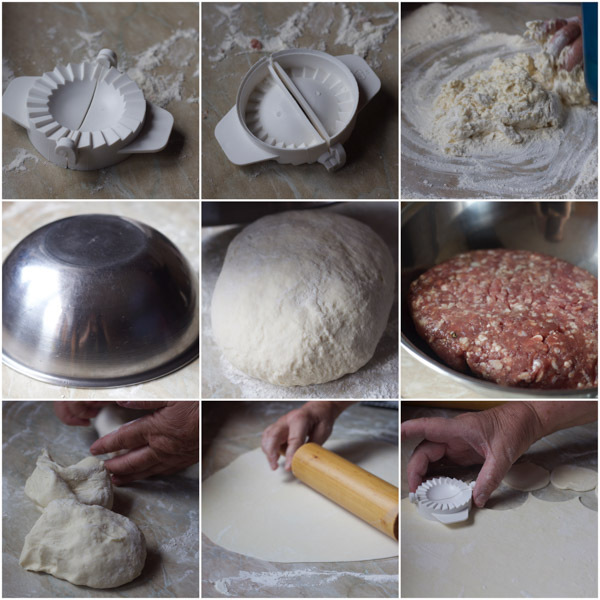 Traditional pita (Balkan pie) is one, and this recipe has step by step instructions for dough (jufka) making. Sarajevo pizza is another way to practice your dough making skills, as are different breads and pastries. Take the flour, add water, and 1/2 tsp salt and start kneading it in a mixing bowl. Be careful as you are adding water not to over-or-under do it. Dumpling dough should be a little softer than the dough for bread, and also smooth and elastic. The longer you knead it, the easier it will be to work with it. Once you have a dough ball ready, leave it to “breathe” some 20 minutes. Make the filling by combining ground beef, onion, pepper and seasoned salt. Mix thoroughly. Put about 6 quarts of water to boil in a big pot. Clear off a work surface, and dust with flour as you’ll be rolling out your dough here. Divide dough into 3 equal dough balls. Take one dough ball and knead it for about 10 minutes, then roll it out with a dusted rolling pin until it’s the thickness of two-three stacked coins. Take a glass (3 inch in diameter or so), or a ravioli stamp and cut out circles in the stretched dough. Each dough ball, when kneaded and rolled out, should make about 30 dough circles (or 30 dumplings, or 3 servings). Drop the first batch of dumplings into the boiling water and lower the temperature to medium high. (Best to use a strainer in the pot, that way you can take all of them out at the same time.) Leave in for 10-12 minutes, (they’ll start popping up). Meanwhile, take the second dough ball and make the second batch of dumplings by repeating steps 4 and 5. Heat stove to 400F. Take out the first batch of dumplings and place in a large glass bakeware. Then put dumplings batch number two to cook. Repeat steps 4, 5 and 6 for the third batch of dumplings. After all three batches of dumplings have been cooked and placed in the glassware, mix sour cream and cream together, and pour evenly over the dumplings. Melt butter on stovetop, and add minced garlic and paprika. Pour this second sauce evenly over dumplings as well. Place glassware on medium rack in the oven for 15-20 minutes. Take out. Enjoy! Dough rules: Too sticky add more flour. Too hard add more water. When rolling out the dough make the circles right next to each other as to use up as much dough as possible. P.S. If you’re not using a ravioli stamp, here is the link to how to make the dumplings with a fork and a glass. 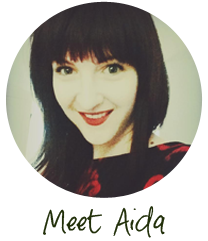 Well hello there Aida, a lovely girl with the same name! Thank you for your kind words-they brightened up my day. Klepe are some of my favorites, I could eat them and eat them.